After winning first prize in the entrepreneurship Competition in April, Dr. Robin Shrestha and Dr. Sapana Adhikari headed to Manthali, Nepal in July 2018 to put their plan into action. 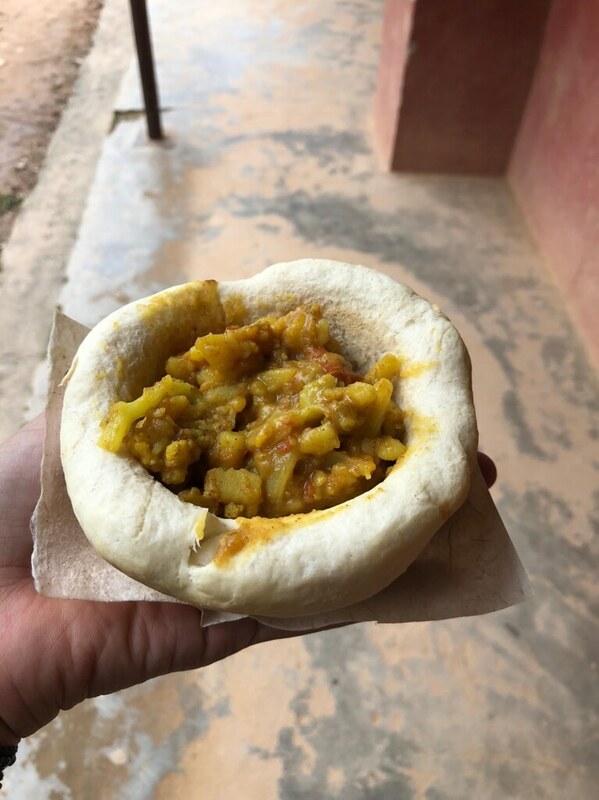 Their idea was to create a ‘Smartbakery,’ — a mud-brick oven designed to feed 1500 schoolchildren a healthy lunch consisting of a ‘smartbowl,’ — a vitamin and iron fortified bread-bowl with local ingredients. Despite many challenges along the way, Dr. Shrestha and Dr. Adhikari were able to train two local village women in the art of baking, secured a gas-powered oven to be used immediately while a mud-brick prototype is under construction, set-up a hygienic ‘Smartbakery,’ and even started selling their innovative ‘smartbowl’ to local schoolchildren. Additionally, they visited the local flourmill to discuss fortification and also met with locals at the Nepali rice paper factory to discuss using recycled paper for packaging. The winners of the 2018 Food and Nutrition Entrepreneurship Competition give an update on their progress since last April. In just the first few weeks that the ‘Smartbakery’ was open, the local schoolchildren were highly receptive to the ‘smartbowl,’ with it selling out almost everyday. As word of the ‘innovative ‘Smartbakery’ project has spread, neighboring villages have sent their representatives to see how they might also be able to create a ‘Smartbakery’ at schools in their communities. Following the April competition, GleTech has focused its priorities on exploring different capital structures, forming industry partnerships, team building, and getting ready for their official company launch. With the help of Tufts’ own Jessica Deckinger, they gained critical insight on raising capital, and the benefits of convertible notes versus venture capital investment. The GleTech team was also able to attend two conferences: ICTforAg and AfricaArena, which provided great opportunities to network and learn about trends in the agriculture technology industry. This led to the formation of a strategic agricultural partnership in the FinTech space in Africa with OVAMBA solutions. Another partnership was initiated with the Union of Regional Producers in Benin, with the help of a local GleTech Field Officer. In the near future, the GleTech team is looking forward to a meeting with Benin’s ambassador to the U.S to discuss ways GleTech’s desired impacts can fit in the government’s priorities. The Friedman School is proud to be creating a hub of nutrition entrepreneurship and innovation where students, faculty, scientists, companies small and large, advisers, and funders can come together to create new strategies and approaches for a healthier, sustainable, and more equitable food supply. Look out for the next University-wide annual Food and Nutrition Entrepreneurship Competition in Spring 2019.